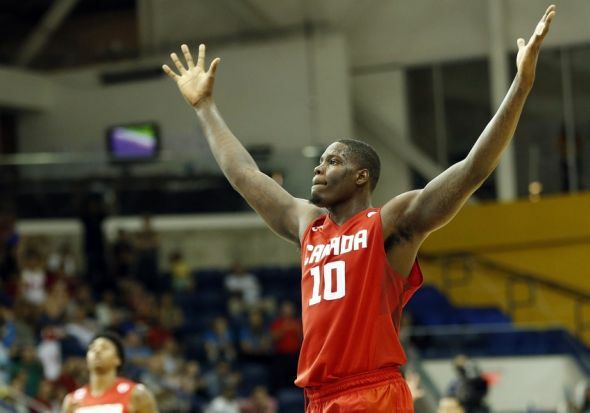 Homecoming Hurrah: Is There Hope for Former No.1 Pick Anthony Bennett Back in Canada? Anthony Bennett has been a stud in FIBA play for Canada, but he hasn’t been able to break through in the league with Cleveland or Minnesota. Will the former No. 1 pick find his niche with his hometown Raptors? It’s official. Anthony Bennett, the former No. 1 pick in the NBA draft, the first Canadian to ever be drafted No. 1 overall (followed by fellow Canadian Andrew Wiggins being drafted No.1 the next drat), is back in his home country of Canada. After the Timberwolves bought out the remaining year of his contract, Bennett cleared waivers and signed with the Toronto Raptors for a 1 year, $947,000 deal, not bad change considering that Bennett will still be getting the $3.65 million from the Timberwolves in the buyout deal. Nonetheless, it is a bit of a tough pill to swallow for Bennett, who will be on his 3rd team in 3 years. Though always seen as a stretch for the No. 1 pick, Cleveland, Minnesota and NBA fans in general surely expected more than what Bennett has produced his first two seasons in the league. In his rookie campaign, Bennett was injured and out-of-shape in Cleveland, which limited his court time and production (he only played in 52 games and averaged 12.8 MPG). In his second season, he was traded along with fellow Canadian and No.1 pick Wiggins in the LeBron “super-deal”, and many expected Bennett to have a better opportunity to improve in a rebuilding situation rather than a competitive one in Cleveland (which was the case with LeBron arriving back home). However, he was unable to find a fit on the young Wolves squad amidst Wiggins, Zach Lavine, Gorgui Dieng, Shabazz Muhammad, and Ricky Rubio. His minutes only improved to 15.7 MPG and his stats only improved slightly across the board (6.9 PER to 11.4 PER; minus-0.4 win shares to 0.3). Yes, the class he was part of wasn’t good at the top (though foreign picks like Rudy Gobert and Giannis Antetokounmpo are looking like steals and may end up being the cream of the crop along with Nerlens Noel, who is already a plus-plus defensive player after his first full year in the league), but even compared to his peers, Bennett pales mightily. His career win shares in negative-0.1, which ranks him 54th out of the 60 players drafted that year. Bennett may not be a bust just yet, but he hasn’t done anything so far in his first two years to prove that narrative wrong either. Again, the shock from Bill Simmons’ “Whoa!” The hands on the back of the necks of the Cleveland Cavs fans in attendance. The shock on Noel’s face, unable to even look in Bennett’s direction. Hell, I think even David Stern, who was performing his last NBA Draft as commissioner, was shocked, as he took a second to pause before announcing Bennett’s name over the loud speakers to the passionate NBA fans in New York City. All profiled in the video demonstrated such a state of utter disbelief that has been a microcosm of the Bennett pick and his early NBA career: how the heck did he go Number One in the NBA Draft? Nonetheless, scrape away the No. 1 pick aura. It was a lousy draft that really had no consensus No. 1 pick going in. He may rate as one of the lesser No. 1 picks in the NBA Draft’s history, but he won’t be the worst, as long as he stays healthy, which he has done for the most part (no missed seasons like some No. 1 picks). It’s easy to understand the performance in the first two years as well. He just wasn’t in prime physical condition due to nagging injuries prior and during his rookie year, and in Minnesota, it was understandable that he was unable to crack Flip Saunder’s rotation, especially with more proven and traditional bigs like Nikola Pekovic and Dieng (and later Kevin Garnett), and wings that Saunders was more familiar with such as Muhammad, Thaddeus Young and Chase Budinger. Lastly, it’s difficult to see where Bennett projects in the league position-wise: he is not quick enough to be a regular on the wing at small forward, but he is not big enough to be a regular at the 4 position either. It’s easy to see why scouts and organizations were so enamored with Bennett when they see him play for his home country. He plays confident. He shows surprising athleticism and ability to drive to the rim. He can hit the 3-pointer with regularity and ease. His post game is still a bit raw, as I don’t think he is truly a natural post player and still needs to work on his footwork around the paint (as do many young big men in the NBA). That being said, what he lacks in physical skills he makes up intangibles. Bennett has the aggressiveness, body and strength to overpower smaller wings on the block, while still maintaining the good shooting touch and quickness with the dribble to beat bigger forwards who are with him out on the perimeter. 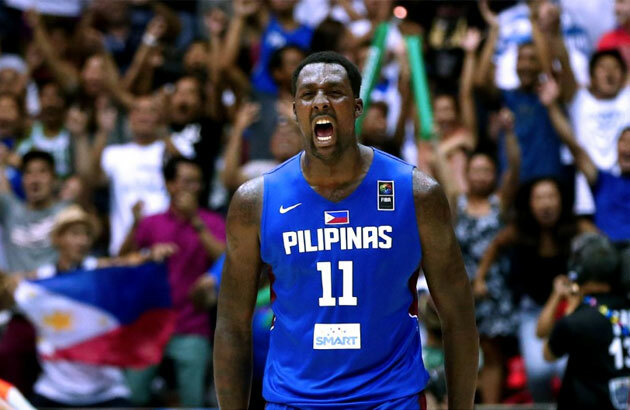 When it comes to FIBA play, Bennett makes his naysayers question a bit for dubbing him a “bust” and “one of the worst No. 1 picks ever”. But unfortunately for Bennett, NBA legacies are determined by NBA games, not FIBA ones. 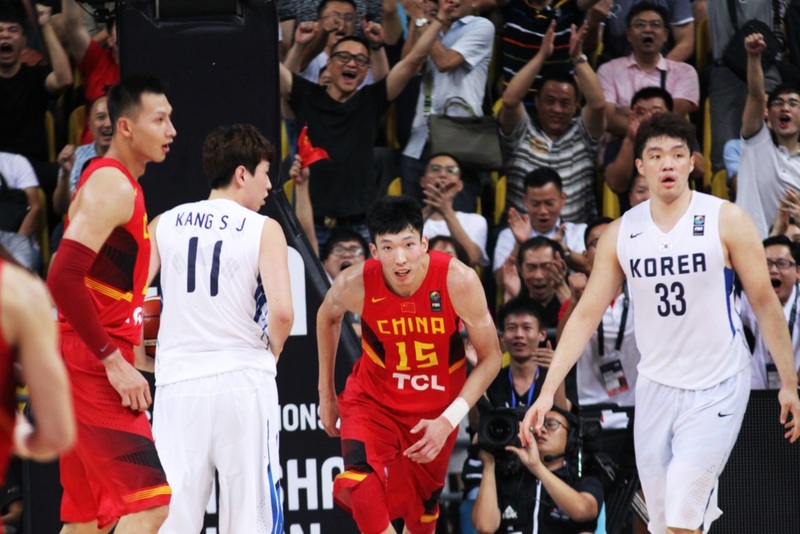 Maybe Bennett will simply be a greater international competition player than a NBA one. 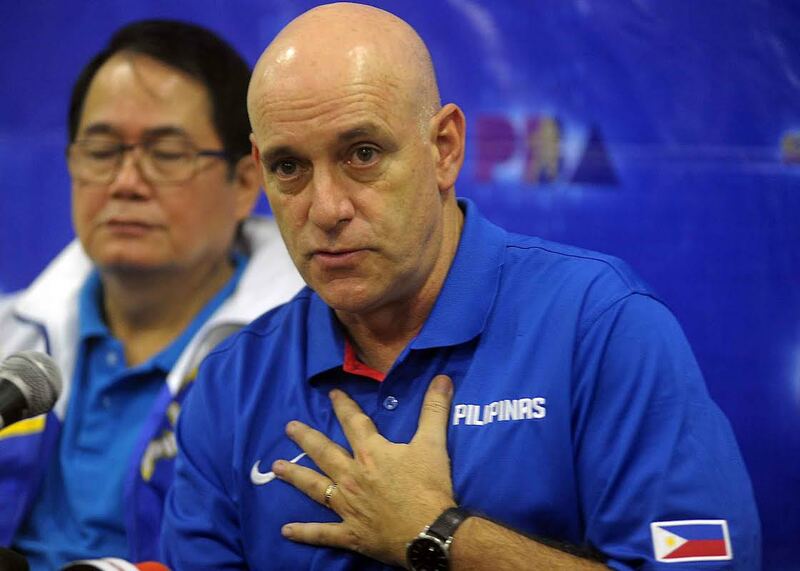 Maybe he will find a team in Europe or another foreign country that will appreciate that FIBA success and he won’t be judged by the stigma of being a former No. 1 pick. But if he wants to be more than just a FIBA player and stay in the league, he will have to transition those intangibles he showcases in FIBA play to the NBA court. At times last year, Bennett showed that in Minnesota, and you can see it below in his highlight tape from last year. There were at times Bennett flashed the “Team Canada” swagger and brilliance with the Timberwolves last season. Unfortunately, for Bennett and the Wolves, those moments were too few and far between. Another benefit in Bennett’s favor is that it will be easier to crack the rotation than it was in Cleveland and even Minnesota. The Raptors won 49 games, finished as the winner of the Atlantic Division in the East (though the division was pretty lousy, as the sub.500 Celtics finished second), and were one of the better offensive teams in the NBA (4th overall in Offensive Rating). But, there is a lot to be determined with this Raptors roster this season. The Raptors lost long-time post player Amir Johnson and valuable scoring wings Lou Williams and Grievis Vasquez to free agency, and while they did sign DeMare Carroll from the Raptors, it’ll be interesting to see how Carroll fares offensively transitioning from Mike Budenholzer’s system in Atlanta. That is not to say Bennett will leap Carroll by any means, but if Carroll struggles to adapt to head coach Dwane Casey’s system, it’ll be interesting to see who minutes and shots will go to at the small forward position off the bench. The most interesting position where Bennett could fit in though will be at power forward. Though Patrick Patterson has been good, he is far from spectacular, as evidenced by his 14.6 PER and meager 8.0 ppg and 5.3 rpg in 26.6 mpg last year. However, Patterson fit in with the Raptors as an excellent stretch four, as he took 52.9 percent of his shots from beyond the arc and hit 37.1 percent of them. Patterson and Bennett’s games are similar, and Bennett may be a better ball-handler and a bit more athletic on the wing. It’ll be interesting to see if Casey utilizes Bennett in a similar way to Patterson and maybe cut Bennett some of Patterson’s minutes. After all, Bennett could provide the same kind of arsenal that Patterson already brings, but with a bit more athleticism, positional versatility and obviously, more youth. That being said, Patterson won’t be giving up his minutes easy, as Patterson really established himself on this team last season as a key contributor (his 6.1 win shares were 4th most on the team) as well as fan favorite. And while all the home country and hometown team ties are important, let’s not forget the most important aspect for Bennett and his NBA future: he’s in a good situation where he can compete and earn playing time right away for a competitive, playoff-seeking team. Granted, it won’t be starting playing time, and I doubt it’ll be in the 20-minute marks, especially early-on, but he’ll have a shot to make his mark and perhaps earn more if he can play loose and display his versatile offensive game. His skill set and size are a need for a team that is a bit shaky in the post, and his ability to shoot the 3 as well as score in the paint and finish with authority in the fast break will help give the Raptors a valuable option off the bench, which will help the keep competitive in the NBA Eastern Conference. The big question about Bennett is whether NBA fans should have any hope going further for the guy after how bad his first two years have been. I think so. I don’t know if he’ll be a major star in the league, heck, I am not even sure if he can be a regular starter on a competitive team. But, as a key role player, a 7th-8th man who can stretch defenses and find multiple ways to score in limited 16-22 minute stretches? To me, that is possible for Bennett, even as soon as next year. That kind of production will make him worth much more than the $947,000 the Raptors will pay him next year. And that kind of production too will at least give him a better legacy than Greg Oden and Darko Milicic as well. 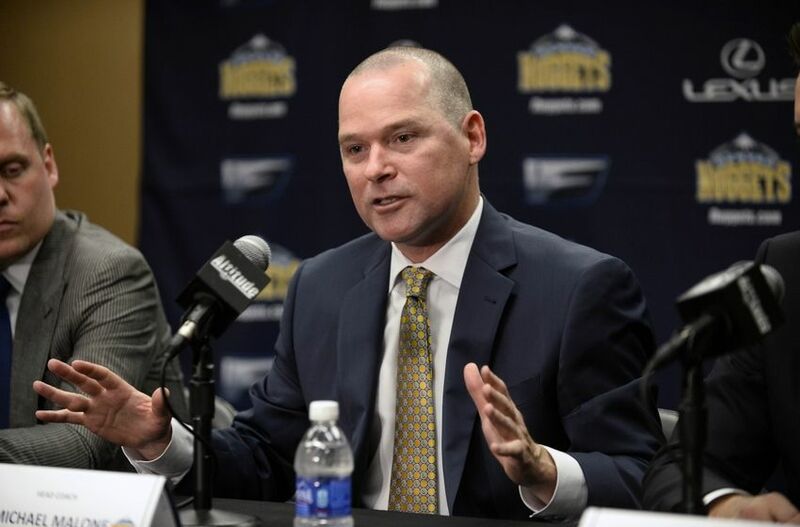 Can Mike Malone Revive the Denver Nuggets? Mike Malone has said all the right things so far in Denver…but what else can he do to make the Nuggets competitive again? Mike Malone’s hire in Denver generated a lot of buzz this off-season. And rightfully so. After getting canned early in his second year in Sacramento, despite getting off to a “better than expected start” and being the one coach that actually was a favorite of Boogie Cousins, the Kings fell apart without his leadership (though the jury is still out on George Karl), and people began to realize that maybe Malone was more successful to the Kings’ success than management initially thought or gave him credit for. (Sacramento Kings fans of course will be quick to point this out and on constant occasion). Now, Malone will get a second chance, as he succeeds Brian Shaw, a once-heralded assistant whose initial head coaching job in Denver was an amazing thud. The Nuggets failed to make the playoffs in any of his two years at the helm, let alone have a winning record. And furthermore, the Nuggets were filled with internal turmoil, ranging from style of play to his inability to motivate his young players. Injuries certainly didn’t help his tenure, but this is the NBA, and this was a Nuggets team that won 57 games and earned a No. 3 seed in the West prior to his arrival. It’s not like he was leading the Philadelphia 76ers here where the cupboard was bare and there were zero expectations. Malone definitely will be a breath of fresh air for an organization that has been a bit rudderless the past couple of years after the departure of Karl (who was let go) and Masai Ujiri, who is now the current General Manager of the Toronto Raptors (and doing wonders there). However, despite his strong work ethic, and ability to work with “volatile” personalities, he will have his work cut out for him in Denver. It is obvious that the Josh Kroenke and the Nuggets ownership group expect the Nuggets to be immediate contenders (at least for a playoff spot), or else they wouldn’t have parted ways with Shaw so quickly. Lucky for Nuggets fans, Malone has been on this boat before, and under much murkier and unpredictable management circumstances as well (I mean, who thought Malone would be fired after the start he had? Yes, they faded a bit when Boogie went down, but every Kings fan and media member has constantly said the timing of the move was ill-advised and ended up costing the Kings any chance of competitiveness). It probably goes without saying that Malone learned from his time in Sacramento, and will have the right plan going forward, especially when it comes to working with an overbearing and lofty-thinking management (not as bad as Vivek and Co., but Korenke isn’t Philly or Minnesota management here either). Malone has said pretty much all the right things. He promises up-tempo basketball, which is not a surprise since the Nuggets circumstances (high elevation) and history (Westhead, Karl, etc.) has always favored that kind of play. However, he also plans to incorporate stronger defense in that mold of play, something that has not been seen quite often with the Run and Gun Nuggets teams (they always were offensively-focused squads). Furthermore, there also seems to be a plan in place for more structure and discipline, especially in-season, something that fell apart toward the end of Shaw’s tenure (the no shoot-around due to let guys party thing didn’t seem to go well, especially with players like Ty Lawson having DUI issues during the season). If any new coach won their introductory press conference and off-season, one would have to think the trophy would go to Malone. But Malone also won his press conference in Sacramento, and though he showed signs of breakthrough, he still overall had a losing record in his short tenure there (he went 39-67 as head coach of the Kings). What will Malone need to do to truly be successful in Denver? What needs to fall in place? Let’s take a look at a few things to pay attention as the Nuggets enter training camp and build up to the start of the 2015-2016 campaign. Zach Lowe wrote a pretty good piece examining the importance of Danilo to the Nuggets’ chances this year and I couldn’t agree more. For someone that was in the Denver area during their solid 2012-2013 campaign, it was obvious that the Nuggets’ chances were sunk when Danilo tore his ACL and was lost for the playoffs and the 2013-2014 season. Gallinari was averaging 17.9 ppg, 1.16 PPP and a true shooting percentage of 56.1 percent on an increased usage rate of 21.3 percent (up .6 percent from the previous year). After being more hesitant the previous year from beyond the arc, the Italian sensation embraced the 3-pointer more (41.6 percent attempt rate, up from 39.3 percent in 2011-2012) and it payed off. He produced a 16.7 PER and accumulated 7.2 win shares, a career high at that point. After an up and down career in New York (who drafted him), it was nice to see Gallinari shining and being a crucial cog in the Nuggets’ offense and Karl’s system. But, Gallo got hurt, the Nuggets got bounced in the first round, Karl was showed the door, Shaw came in…and you know the rest. When Gallinari did return, all was pretty much lost, as the Nuggets were a non-factor in the playoff race seemingly from January-on. But, as pointed out in Lowe’s piece, Gallo was one of the Nuggets best players after the All-Star break, as he averaged 18.6 ppg and 4.8 rpg on 31.2 mpg in 24 contests down the stretch. He also seemed to show signs of his old shooting prowess from 2012-2013, as he shot 40.3 percent beyond the arc on 31 more 3-pt attempts from the first half in the 24-game span, and averaged 1.19 PPP (a .16 point improvement from the first half). There were not a lot of bright spots for the Nuggets in the second-half with the firing of Shaw, the troubles of Lawson, and the mixed feelings for Kenneth Faried, whose legacy changes all the time it seems in Denver (more on this later). But Gallo’s return to form was a glimmer of hope for a fanbase that has been used to disappointment, especially as of late. The big question now though is if the 24-game sample of Gallo will translate over a full year. Is he really back to that 2012-2013 form or better? Or was that post-All Star break performance a flash in the pan? One sign that he might be closer to the former was his recent performance this September in international play. Gallo was a force for an Italian squad that finished 6th in the recent Eurobasket, as he led the team in scoring with 17.9 ppg and also showed a boost in some other categories as he averaged 6.9 rpg and 2.8 apg during the 8-game span. Additionally, he also shot 56 percent from the field, including 40 percent from 3, thus demonstrating Gallo’s hot touch from the end of the year has carried over to FIBA play. Of course, FIBA numbers should always taken with a grain of salt, especially considering this was solely against European competition (i.e. no USA). 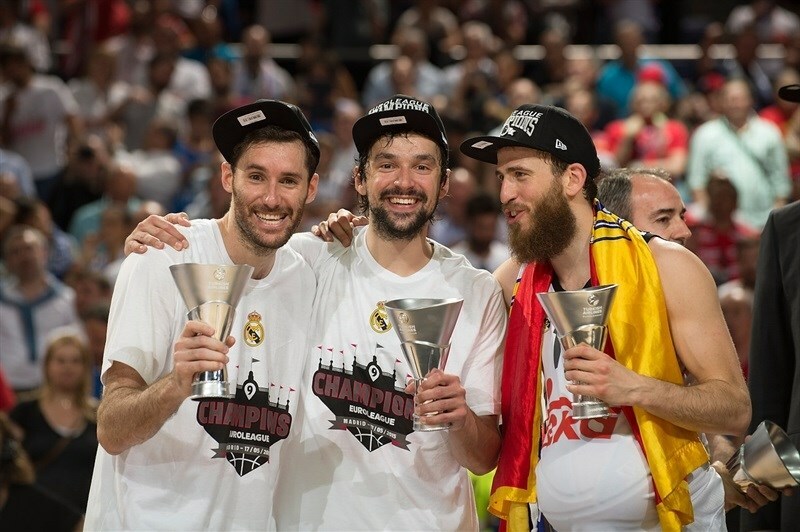 But, if Gallo can be the lead dog on a team with NBA players such as Marco Belinelli, Andrea Bargnani and Gigi Datome, it makes you think he could also serve such a role on a Nuggets team that is going to be much younger than in years past. Will Malone lean on Gallinari early, especially as youngsters such as rookie Emmanuel Mudiay and second-year center Jusuf Nurkic continue to grow into their games? It’ll be interesting to see, that’s for sure. Malone at the core is a defensive guy, and Gallinari has never proven to be better than an average defender (and that is saying it kindly). And Gallinari struggles with the more physical parts of the game, and though he showed more physicality in the Eurobasket than usual, he will struggle against bigger power forwards if Malone should go small and put him at the four. Gallinari has never had a rebounding percentage in the double digits, and even for a small-ball four that is not a promising sign, especially considering playing Gallinari at the four means benching Faried or Nurkic, who are solid rebounding bigs. How Malone will utilize Gallo will be a strong indicator to the Nuggets’ success. Will Malone make him a focal point of the offense? Can he help him improve his defense? Can he motivate him to show that 24-game self over the full course of the season? If Malone can do that, the Nuggets could be getting better quicker than expected. 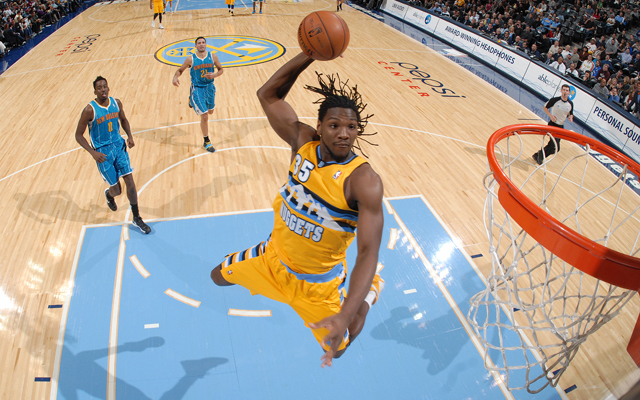 Faried has been a hot and cold player for the Nuggets. He went under-drafted in the 2011 draft, going 22nd and being thought as a “good small-college player who would be exposed by bigger posts” in the NBA. Faried though has proven the critics wrong somewhat, as he has averaged nearly a double-double over his career so far (12.2 ppg and 8.7 rpg over 281 games). That is not bad for a guy many thought would be out of the league in a few years (as is typical for late-round picks). Not exactly glowing praise for a guy thought to be a key piece for the Nuggets going forward. But, Malone has been in this boat before. Cousins was widely known as a volatile sort that many felt would be un-coachable when he came into the league, and early on in his career, he proved them right. He struggled to get along with Paul Westphal. (But then again, who doesn’t? Has any player of his ever come out and said “God, I loved playing for Paul Westphal! He was the best!” Phoenix, Seattle and Pepperdine players…you can email me anytime). He struggled with Kenny Natt and Keith Smart. For a while, it looked like Cousins was destined to being a great player on a bad team who just couldn’t get out of his own way, in the Rasheed Wallace or Zach Randolph mold (both whom I love by the way). And then Malone came in. Malone got him to give more commitment to defense. He helped channel Cousins emotions a bit better. And let’s face it. Who knows if Boogie becomes a third-team All-NBA player and an All-Star if not for Malone’s tutelage. Time and time again when asked, Boogie always has good things to say about Malone, something not a lot of past or even present Kings coaches can boast. The Faried situation is not easy, especially on a roster filled with young players and under-whelming veterans like JJ Hickson and Randy Foye. Faried will be relied upon for leadership in some way, and it makes you wonder when you see articles like the one from Arnovitz if Faried is up for the challenged considering his ego issues. However, this is not new turf for Malone, and it is a safe bet that Malone is banking on mending Faried’s image similar to how he mended Cousins’ in Sacramento for the benefit of Faried as well as the team in general. This team is not deep talent-wise and they need a focused Faried if they want an outside chance at a playoff berth. You can see now why the last DUI was the final straw for Lawson in Denver. If Mudiay can develop as scouts project, they could have a franchise-cornerstone at point guard for years to come. It’ll be interesting to see if Malone will give the keys to the offense right away though, or if he will have incumbent backup Jameer Nelson take over the starting role to allow Mudiay to get more comfortable and keep too much pressure off of his young guard right away. That being said, Mudiay is the future, and Malone has leaned on his young guys before (he was liberal at times with giving Ray McCallum minutes at point in Sacramento), so it won’t be surprising if Mudiay becomes “the man” at point sooner rather than later in Denver. Mudiay isn’t the only young budding star that Malone needs to pay attention to though. The “Bosnian Beast” Nurkic was a key reason the Nuggets decided to part ways with Timofey Mozgov, who ended up having a bit of a coming out party against the Warriors in the Finals. Nurkic gained mainstream popularity for his physical play and his fearlessness, as he seemed willing to stand up to any and everybody, including the volatile and intimidating Cousins. However, though Nurkic had a strong stretch December-February (hence, the Nuggets finding Mozgov expendable), he struggled through injuries, as he only played 26 games in the last 3 months and saw his minutes decline from 24.5 mpg in February to 17.2 mpg in March and 16.8 mpg in April. The decline in minutes also resulted in a decline in efficiency, as his offensive PPP went from 1.04 in February to 0.87 and 0.90 in March and April, respectively. Whether the decline the past couple of months was due to injury or fatigue or the league scouting him better, Malone and the Nuggets will need some kind of progression from Nurkic in year 2. On the positive side, he is hell of a rebounder, as he led the team in rebounding rate at 18.7, which was 1.4 percent better than Faried, who is widely known for his rebounding (sometimes selfishly so…it has been said he goes after rebounds to pad his stats at times, especially on defense). Also, Nurkic was one of the Nuggets’ most effective defensive players last year, as he was second in defensive win shares at 1.8 and led the team in defensive box plus-minus by a considerable amount (his 3.1 was 2.2 better than the second-leading regular, Faried). At the very least, the “Bosnian Bear” will have a future as an animal on the glass and defensive end. The main question concerning Nurkic will be how his offensive game progresses, and a lot of that will ride on Malone. Nurkic only posted a 14.8 PER and 48.3 true shooting percentage, both lackluster numbers for a post player (as evidenced by his negative-.02 offensive win shares). One area that needs considerable improvement or change his 3-10 feet game (i.e. the floater/short mid-range). Nurkic took 40.2 percent of his total shots from that range, and he only converted 31.2 percent of those shots. For a big guy that is six-feet, 11-inches and 280 pounds, he should be getting to the rack more, as he converted 58.2 percent of shots 0-3 feet (i.e. dunks/layups), but only got that shot 48 percent of the time. Maybe in time, Nurkic’s short range game will get better. But for now, the Nuggets and Malone need to make a concerned effort to get him touches in areas where he can finish at a high rate. If that happens, Nurkic will start to be known around the league for being one of the better big men in the game and not just one of the better trash talkers (though I’m not complaining about the latter). Making Movies performed and hosted “Carnaval” which proved to be one of the best and most unique music fest of the year. If you had a chance to attend the 2nd Annual “Carnaval” at Knuckleheads Saloon on Saturday, September 19th, you were presented with quite a treat. Over the past year, I have been to quite a number of live shows at a variety of venues in Kansas City (Grinder’s, the Uptown, Midland, etc, the Riot Room, etc.). And I have seen some great indie and slightly bigger acts that have put out incredible performances, with Sean Rowe, Madison Ward and the Mama Bear and Iron and Wine at the Middle of the Map headline venue at the Uptown Theater combining to produce one of the best shows I have seen up until Saturday. But with apologies to those indie folk bands and singers I listed with reverence above, last night’s Carnaval topped that and all the other shows I have seen in the past year considerably. First of all, Knuckleheads is simply an incredible venue. Located on the outskirts of historic Northeast, the venue doesn’t have the local attractions of Grinder’s (which is in the Crossroads, and makes it a great venue for First Friday concerts) or Midland (Power and Light) or Uptown and the Riot Room (Westport). But the dual inside-outside stage set up made it ideal to host a musical showcase like Carnaval. There was plenty of room to roam, bars were plentiful and didn’t require long waits (and they had Schlitz! Bonus points! ), and the sound projected throughout the venue, making it easy to hear the bands playing no matter where you sat. Without a doubt, Knuckleheads is a place I definitely will be paying attention to when it comes to scoping out potential shows. That’s how great and impacting “Carnaval” was for me. Just when I think “Man, I don’t fit here. Kansas City just seems so distant and unfamiliar to what I know from being in the West Coast all my life in terms of culture and attractions,” something like “Carnaval” comes along, pumps me full of energy and gives me hope in this damn city all over again. It’s a dreadful cycle, this love-hate-love again relationship with this city, but I am willing to go through this to attend events like “Carnaval” and watch acts like Making Movies, etc. The aura of the moment of those performances simply outweigh any funky misery I go through time to time with my experience with this city. As I got home, being the basketball junkie that I am, I got to thinking: if you could describe “Carnaval” as any NBA team in any period of history, which team would it be? After a minute or two, I came to an easy answer: the Seven Seconds or Less Suns. Like Carnaval, the Suns were a distinct but enjoyable contrast to the current atmosphere in the NBA at the time (mid-2000’s). The team consisted of a unique cast of NBA characters who brought a bevy of unique talents and capabilities to form a team that performed well, but went under-appreciated because they did not win a title. Carnaval proved to be the same: unique acts and styles of music, blending into a show that probably will go under-appreciated in the retrospect of shows in 2015 from magazines like The Pitch or Ink because the bands don’t have the mainstream appeal or the hook that will attract most KC music scene people (i.e. they’re not Madison Ward or traditional Indie Folk…that is not a knock on Ward…love them, but they’re sound and style will attract a majority of the young live-music-attending public here in KC). So, to review each act, I am going to compare each band to a member of the 2006-2007 Phoenix Suns, which arguably was the best of the SSOL bunch (and could’ve gone far if not for Robert Horry “hip check” moment). The only act I will not review is Heart of Darkness, as I only caught the last couple of songs of their act. Thankfully, the band is Kansas City-based, so hopefully I will be able to check them out at another venue sometime in the near future (if anybody has an inside track on where they’re playing in the future, it would be much appreciated). So here it goes, act by act reviews and Suns player comps from Carnaval! I witnessed Sports a couple of weeks ago at the Riot Room. A electro/pop/rock band from Tulsa, Oklahoma, I enjoyed Sports for their 80’s-esque sound that made me feel as if I was listening to the soundtrack of an early Bret Easton Ellis novel like “Less than Zero” or “The Rules of Attraction.” Migrant Kids, a trio from Austin, Texas, sported the same kind of sound: rock, but with an electronic tinge that made you hark back to the 80’s. To be honest, I wonder if this is some kind of new trend emerging, as I find it surprising that Sports and Migrant Kids would be sporting the same kind of sound. Last time I checked, I don’t recall a lot of people in the scene these days clamoring for homages to “Huey Lewis and the News” and Phil Collins, and yet Sports and Migrant Kids are producing that kind of sound (though more obvious in Sports than Migrant Kids) much to my surprise and enjoyment. That is why I compare Migrant Kids to Shawn Marion: a tweener of a player with long arms and probably the worst looking jump shot in the history of the NBA. There certainly wasn’t a lot of clamoring for his skill set, but despite the eccentric package, he put up a memorable and productive career with the Suns that defined and highlighted his playing legacy. The electronic sound of Migrant Kids may not be familiar or in huge demand with the typical indie music person, but damn it, they do it extremely well and are extremely enjoyable to listen to. Playing inside, three songs stood out for Migrant Kids: ‘Thread”, “Canvas of Me” and “Primordial Soup”. “Soup” stood out as the strongest song of their set, the haunting sounds and lyrics and heartfelt passion of the performers on stage capturing the audience over the six-minute span. I liked Migrant Kids’ act so much that I bought their album off of ITunes the next day. However, I was a bit disappointed, as “Primordial Soup” was not on it, and neither was “Thread” (only “Canvas of Me” was the song I recalled). Furthermore, the album was filled of ambient sounds that seemed like a waste of album space. Migrant Kids live is like Marion in Phoenix: unique, vibrant and entertaining. Migrant Kids on their album though is like Marion everywhere else: underwhelming and not exactly what we hoped or were expecting (though certainly not poor in any means). Maybe Migrant Kids is building up to their next album and it will really rock the house, similar to their live performances. But for now, I will just enjoy them mostly for their act, which they performed incredibly well at Carnaval. Hurray for the Riff Raff, led by Alynda Lee Segarra, was probably one of the more unique acts at Carnaval. Based out of New Orleans, her act is more American Folk than the Latino-inspired fusion acts typical of Carnaval. And that is what makes her the Diaw of the bunch: a 6’8 big man who plays more like a guard? They have Steve Nash, Leandro Barbosa, Raja Bell and in a pinch Marion. How does Diaw fit in, especially with Amare Stoudamire in the post? You could be saying the same thing about Riff Raff? How does her Folkish-style fit in with the other acts at Carnaval? Surprisingly, like Diaw, amazingly well. Without a doubt, Riff Raff was the most mellow act of the night, as the crew I attended the event with had remarked that they didn’t dig her sound in compared to some of the others. But, I appreciated Segarra’s heartfelt passion and skills on stage. On a handful of songs, Segarra went solo with just an acoustic guitar and killed with songs like “Blue Ridge Mountain.” But songs that incorporated the use of the fiddle is when Hurray for the Riff Raff really stood out: it was Lumineers meeting Mumford and Sons meeting First Aid Kit in one unique blend similar to the uniqueness of Diaw’s ballhandling, passing and three-point shooting in a 6’8, Croissant-loving frame. There is no questioning Segarra and Riff Raff’s talent. It will be interesting to see if Riff Raff will continue to grow in Folk circles and break through in a crowded scene. But furthermore, one thing that was also endearing about Segarra and Riff Raff is her passion for music. Earlier in the day at Carnaval, Segarra worked with young musicians in helping them with the process for creating songs. That kind of generosity is endearing in an industry that seems at times so cutthroat. And that’s what makes Riff Raff like Diaw: much like Diaw seems to be a good teammate and good dude on the court who really has a profound respect for the game, Segarra and Riff Raff seem like genuinely awesome people off stage who really care about people and music. I’m not going to lie: the group I hung out with kind of took it easy when Gio Chamba played inside after Hurray for the Riff Raff. With good seats, it didn’t make sense for us to move and put our great seats at risk, especially with the headliners (Las Cafeteras and Making Movies) both playing back-to-back on the outside stage. So, we just watched them on the projector screen, their music still clearly audible from where we were sitting. Raja Bell typically got the same kind of treatment. When it comes to game-planning, opposing teams are thinking about Nash. They’re planning to stop Amare and Marion on the pick and roll. But Bell? Forget it. To other teams, he’s the fifth guy, a supporting role player at best that is there to just fill up a spot because they don’t have anyone else on the bench better equipped to be the starter at the shooting guard. Gio Chamba had the same kind of effect on me. The energy was incredible. They switched between instruments seemingly on the fly. They went on and off the screen, on and off the stage, head banging, bongo drumming, going to the turntables, going away from the turntables for a bit, going absolutely insane, loving every second of what they were playing and the crowd that was there to listen and support them. It seemed from where I was sitting they were having so…much…fun. And when I went to the bathroom and then tried to debate whether or not to buy a seven-dollar pack of Camel menthols from the cigarette vending machine outside the bathroom, I was able to swing by the stage and see them in action. The crowd was absolutely into it, jamming as hard as Gio Chamba was on that stage. They didn’t play long. Hell, I can’t even remember what any of their songs sounded like or if they were even a band (I think technically Gio Chamba is a DJ). But they were an act filled with energy and reckless abandon and you gotta love that. Next time Gio Chamba is performing I won’t sleep on them. Just like opposing teams won’t sleep on Raja sitting in the corner ready for the catch and shoot 3-pointer. Las Cafeteras is a unique band that really goes against the grain when it comes to Latin music. Yes, they have a unique Latin rock sound, but at the core they are more activists than musicians. They have only produced one official album, but their impact in social rights issues in California as well as nationally also has helped Las Cafeteras gain so attention in music circles. And yes, their passion for human rights is inspiring. But they aren’t activists masquerading as musicians. This is a talented and diverse musical bunch and it was on full display Saturday night. Despite being quite large in number (the band features seven members: four men and three women), their sound and energy captured the audience from the start of their set. With high energy numbers like “Ya Me Voy”, “La Zapateado” and “La Bamba Rebelde”, they had the crowd dancing and singing along, even if we weren’t totally sure what the lyrics were. Like “La Bamba Rebelde” for example. I knew it wasn’t technically “La Bamba”. But the way they invited the crowd…it didn’t matter if their version of “La Bamba” was a little different in the band’s eyes. They made their act feel less like a performance and more like a drunken New Year’s celebration in your Filipino uncle’s backyard. They just wanted the crowd to have fun and they certainly were immensely successful in doing that. However, they certainly are fantastic performers, and that shouldn’t be minimized. The lead singer’s voice had a scratchy/raspy tone that enhanced the songs and the lyrics. One of the female singers, a redhead in a black flower dress, displayed her tap dancing skills on frequent occasion (sometimes with help from Making Movies’ own dancing band member). Las Cafeteras may be about the crowd experience during their act, but musically, they are incredibly diverse and talented in their skill set. And that is why Las Cafeteras may go under the radar, like Amare goes under the radar as one of the better big men of all time. We focus on what they are not. Las Cafeteras is too big in the number of members in their band. Amare doesn’t play defense all that well. Las Cafeteras doesn’t produce enough songs. Amare doesn’t have a great history of playoff success. But like Amare, we should quit trying to figure out what Las Cafeteras ought to be or should be doing to make it big and more maintream, and simply appreciate what they are: a talented group of diverse musicians who have a fantastic sound and are incredible, energetic performers on the stage. If they are performing anywhere close to you, you should make it a priority to see them. I could go on for days about Making Movies. I have seen them perform three times, including Carnaval. I dropped 45 bucks solely because they were the opening act for Rodrigo y Gabriela at the Uptown (and I left midway through Rodrigo y Gabriela…talented duo, just a terrible set up for a concert). I can listen to their album A La Deriva on loop for hours on end like I could watch Steve Nash work the Pick and Roll on tape for hours on end as well. Making Movies killed it, like they always do. Every time I see them, they seem to get better and better, even if the songs are the same. “Pendulum Swing”, “Chase your Tail”, “La Cuna de Vida” it doesn’t matter. They all shone as they have at every previous show I have been to, but in a slightly different way from each performance. That’s the sign of talented musicians: they make the same songs seem unique and distinct with each and every performance. But, I compare Making Movies to Nash not because they were the headliner of Carnaval similar to Nash being the headliner of the Suns. But like Nash, there is an endearing quality to Making Movies that goes beyond their music. One of the great things about Nash is how candid he is when it comes to his career and basketball issues. If you ever have seen the Finish Line series by Grantland, it’s amazing how open and insightful he is in describing the end of his career as a NBA player. But furthermore, Nash always seemed to be concerned with more than just basketball and more than just his own personal future and legacy. He helped fund documentaries. He is helping build the Canadian Men’s National team into a more competitive team in FIBA circles (and with Andrew Wiggins, Tristan Thompson and Kelly Olynyk, they could be; they are one of the youngest national teams in the World, with no one on their roster over 30). Nash has such a profound respect for his background and his country, that he seemingly puts his own personal ambitions aside for the long-term benefit of his country and the game in his country. That kind of “give back” is unique and refreshing in a professional athlete. Making Movies has the same kind of vibe. They could be worrying about their own act, making more songs, performing more in hopes of becoming more maisntream, but instead they’re hosting an event like Carnaval. Their singers and band care about Kansas City. They care about their Latin American culture. They care about Latinos in Kansas City. For an industry that can be so insular and self-absorbed, they truly give back. And not just with their performances or events like Carnaval, but in the way they demonstrate their passion with music and young musicians in Kansas City, especially young Latino musicians. Just like Nash, there is something incredibly genuine about the members of Making Movies and that makes you as a music fan root for them, and hope they get more recognition, not just for their personal fame, but so their genuineness can reach and impact a greater number of people outside of Kansas City. Carnaval in my mind is one of the Top-5 Music Events in Kansas City and should be going forward. I hope Making Movies continues to put this on. I hope Knuckleheads continues to host it. I hope more and more unique Millenial Latin-American bands continue to grace the event. Because events like Carnaval make transplants like myself truly appreciate the diversity Kansas City has to offer that may not be obvious at first glance or a lot of the time. There is more to Kansas City than Royals, Chiefs, BBQ, P&L, Westport, and KU and K-State alums and Wichita and St. Louis transplants. Thank you Making Movies and Carnaval for helping us see Kansas City in amazing and refreshing new ways. I look forward to 2016.